exodus | Could Joseph and Imhotep have been the same person? Imhotep’s mummy has never been found (because Moses took Joseph’s (Imhotep’s) bones with him when the Israelites left Egypt). This video is a documentary about Imhotep from a secular point of view. Imhotep was the vizier of Pharaoh Djoser (Netjerikhet) of the 3rd dynasty of Egypt. He functioned like a Prime Minister, running the country for the King (Pharaoh Djoser). He was responsible for building the first pyramid in Egypt which is part of a complex containing the tombs of the Pharaoh (accessed by underground tunnels), a mortuary temple, grain silos and buildings that contain columns. 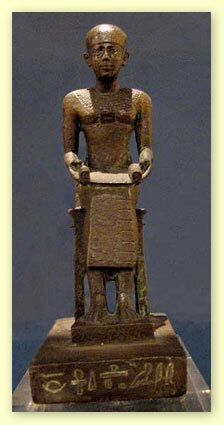 Imhotep has many similarities to the Biblical figure “Joseph”. He was a commoner. He lived until the age of 110 years, he married the daughter of the high priest of Heliopolis (capital city On). He interpreted the dream of the Pharaoh and saved Egypt from a seven year famine. He was a great architect who made the first building with columns. He wrote many literary works. He was the first to use the papyrus. He performed operations and developed mummification techniques. He may have served four pharaohs. He was eventually deified by the Egyptians and the Greeks after his death. He was embalmed and given a Royal Egyptian burial, however, his mummy has never been found. If Joseph and Imhotep were the same person, you would not expect to find the mummy of Imhotep in Egypt because the Israelites carried Joseph / Imhotep’s bones with them when they left Egypt at the time of the Exodus. The major objection to Joseph being Imhotep is the dates, however, new insights into the Egyptian chronology are slowly but surely resolving this issue. There are many theories about who Joseph was in Egyptian History. Similarly, people theorize about who was the Exodus Pharaoh and who was the Pharaoh of Moses Birth and who was the pharaoh of Abraham. As these Biblical and Historical figures are related to each other in time, sequence and position, the identification of one of these figures (a point of reference) determines where and when to look for the others. As there are different views about the way the various Egyptian dynasties are ordered and as there are two schools of though regarding the length of the Israelite’s Sojourn in Egypt, many different permutations and combinations are possible when everybody logs in their answers for who they think just four of these iconic Biblical figures may have been in Egyptian History. For a theory to hold, there needs to be a good character match, sufficient archaeological evidence, any discrepant dates need to be explained and the sequence and time frames needs to be right. As a point of reference, one might ask, what lasting legacy did the Israelites leave behind (for us to find) when they were slaves in Egypt? The Bible records that the Israelites were forced to make mud bricks that were reinforced with straw. The Bible says that there were over 600 thousand Israelite men of fighting age by the time of the Exodus. The Bible says that the Israelites Sojourned in Egypt for 400 years. Even if the the Israelites only produced one mud brick per person per day for half of their sojourn, that would be 600000 people x 200 years x 365 days x 1 mud brick per day per person = 43.8 billion mud bricks. That is a lot of mud bricks!! Where can we find this many mud bricks in Egyptian History? The answer is: In the 12th dynasty (and the 12th dynasty lasted about 200 years)!! There is considerable evidence to suggest that the 12th dynasty was the period when the Israelites were oppressed. The 12th dynasty pyramids had a mud brick core and a limestone veneer. (The limestone veneer has fallen away over the centuries leaving the mud brick core exposed.) There were seven such pyramids constructed over about 200 years. 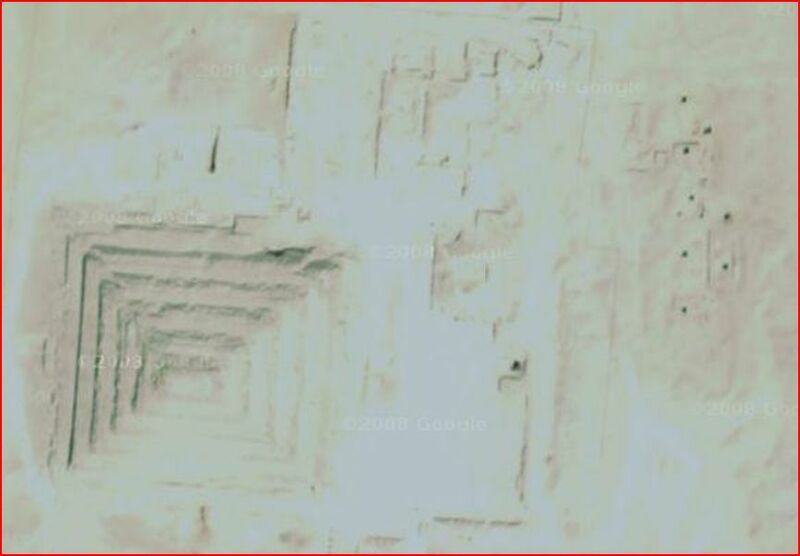 The Labyrinth, another monolith of the 12th dynasty, was also made from mud bricks. There was a massive Exodus of slaves from Egypt in the 13th dynasty, after which, no more pyramids were constructed. The only other significant exodus from Egypt was at the end of the second intermediate period when The Hyksos were chased out of Egypt in a rebellion lead by the family of Ahmose who went on to found the 18th dynasty. The Hyksos were rulers of Egypt and are clearly not the Israelites. The only reasonable conclusion is that the Exodus of slaves in the 13th dynasty was in fact the Israelite Exodus. This is supported by good character matches for Moses, Moses’ pharaoh, Moses’ adoptive mother and the Exodus pharaoh. The profiles of Amenemhet III, Sobekneferu Amenemhet IV and Neferhotep and the chronology and time frames make it very likely that they were The pharaoh of Moses Birth, the princess that adopted Moses, Moses himself and the Exodus pharaoh respectively. People have suggested the 12th dynasty vizier Mentuhotep (of Sesostris I) to be Jospeh of the Bible based on a 200 yr sojourn but there is little evidence and a poor character match. The Bible says that the Israelites were in Egypt for 400 years. They were able to enjoy the protection of Joseph for the first 70 years and some time elapsed before there was a change of dynasties to a pharaoh who neither remembered Joseph, nor was sympathetic to the Israelites. It is unlikely that the Pharaohs of the 12th dynasty changed their tune half way thru the dynasty. There is a lot of evidence to suggest Joseph was Imhotep of the third dynasty and this would fit with Menez being Mizraim. Abrahams pharaoh (Abimelech) was somewhere in between Menes and Imhotep. A statue of Imhotep in the Louvre. It is likely that he is the Joseph of the Bible who saved Egypt from a 7yr famine buy building grain silos such as these in cities around Egypt. He was able to buy up all the land of Egypt with the proceeds from selling the grain. This had to take place early in Egypt’s history. Joseph and Imhotep have many other similarities. For example, they both lived to the age of 110yrs, were embalmed when they died and given a royal Egyptian burrial, they imposed a 20% tax and they both married the daughter of the high pries of On. They both saved Egypt from a 7 yr famine. They were both visiers of non-royal blood. The Famine Stele. Inscription number 81. Carved on a high point on the Island of Sehel during the Ptoleemaic period. It mentions Djoser, Imhotep and a seven year famine. It also makes reference to Djoser giving land to the priests of Khnum. (The priests of Isis also make the same claim elsewhere). We know that the Egyptian chronology has been stretched out too far, that dynasties overlapped and so we cannot use dates to match Biblical figures with their historical counterparts. If the long sojourn is right, then Joseph would have arrived in Egypt about 200 years before the 12th dynasty began. The first intermediate period is likely to have been contemporary with other dynasties (3-6th dynasties). As a consequence, the 12th dynasty (middle kingdom) followed directly on from the old kingdom (dynsasty 3-6). The pharaohs of the dynasties 7-11 (erroneously referred to as the First Intermediate Period) were probably Nomarches and high officials and not pharaohs at all. The only record we have of them is there name and how long they reigned. They were not even buried in pyramids. Amenemhet I who founded the 12th dynasty was the vizier of Mentuhotep IV of the 11th dynasty. Amenemhet I assassinated Mentuhotep IV and took over the whole country. It was he who had a different attitude to the Israelites and made them into slaves, forcing them to make mud bricks for the 12th dynasty pyramids. The major objection to Joseph being Imhotep is the dates, and new insights into the Egyptian chronology are slowly but surely resolving this issue. I think it is likely Joseph was Imhotep. Hopefully, as new evidence comes to light, we will understand Egyptian chronology better and reconcile the dates. In any case, I have no doubt that the Bible is true and that Moses and Joseph were real people and one day we will know their Egyptian names and the names of the Pharaohs that they served with more certainty.